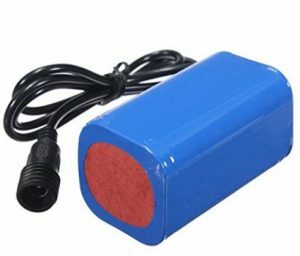 This page is about information on what battery packs can be used with the Pixel Pole LED lights. 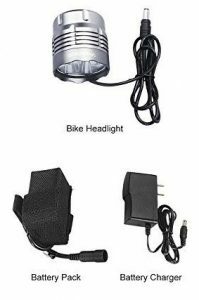 The Pixel Pole was designed to work with the common 8.4 volt DC Lithium Ion rechargeable battery packs that are available for powering bicycle lights. 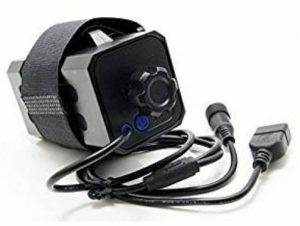 While usually meant for headlights, they provide a good voltage and plenty of capacity for the LED strips. The Pixel Pole can be powered by as low as around 5v. The Arduino module as well as the LEDs run at 5v. In fact, I have a 5v regulator inside the module to supply power for the LEDs. 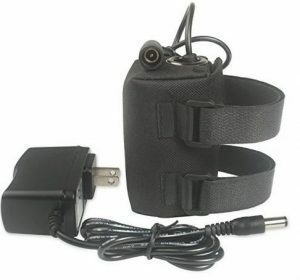 I have tried it using a standard USB battery power booster and it works well that way with an adapter cable. It probably can be powered by a 12v nominal source, but I wouldn’t go too much higher. Extra voltage is wasted as it is converted down to a lower level. I had several and have used them for headlights for several years. They have a velcro strap and case that is very convenient to mount on a bike. They have a good connector that is watertight. They are rechargeable, not disposable. I wanted to be able to provide a complete package to those buying the Pixel Pole, but logistics get in the way. The first casualty was the flag pole. The cost to provide one flag pole was not insurmountable, but the shipping and packaging was. Since you can get one at almost any bike shop or Wal Mart, I left that up to the end user. Most people already have a flag pole anyway. The battery packs were a different animal, though. 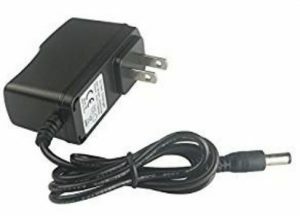 To get a good price on the packs and chargers, I ordered them from China. The shipping ended up being equal to the cost of the parts. You can order one item and they’ll give you free shipping, but order 15 and you foot the bill. Lesson learned. And that lesson is, even though they might cost more domestically, you’ll save in shipping and shipping time, if you stick to home. Here’s your basic battery pack and charger for $20 bucks. Looks like a nice nylon case with two straps. When you just need the guts to replace some worn-out cells, this is a solution. About $6.50 with shipping. You can use your old case and charger. If you need a spare charger, this is only $8. 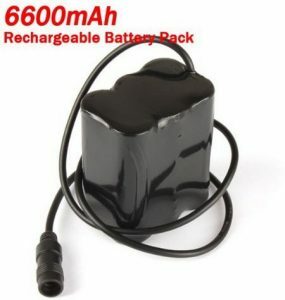 Need more capacity to last longer, or maybe you want to use one battery for a headlight and your Pixel Pole, about $16. A better quality battery with a much more waterproof casing. I use these myself. About $28. An almost identical one for $24. 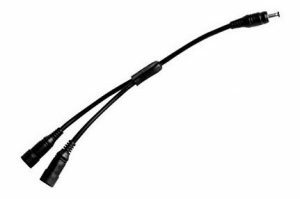 Here’s the cable you’ll need to power two lights from one battery. $10. Here’s a new idea. 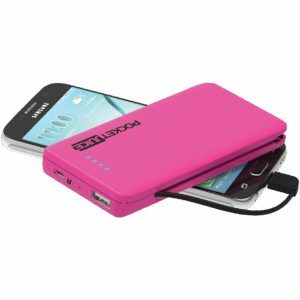 This pack will power your light and your cell phone at the same time. $26. You’ll still need the AC charger, though. It doesn’t charge by USB. 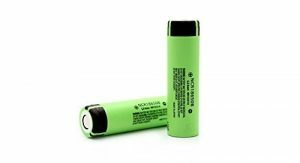 For $14 you can get a holder that you can put individual 18650 batteries into. Batteries are additional. Standard batteries in many tactical flashlights, there are many choices available. This example is $15.99 for two. I’ve found that running the Pixelpole off of a USB battery pack works well. I hadn’t thought of that initially, but someone asked me if it could be done. I didn’t think it was a very good idea at first, but after considering it, it actually is. I designed the Pixelpole to operate at 5V. The LED strips and the Arduino board are designed for that voltage and I worked from the assumption that they would need a higher voltage supply to regulate down to 5v from. The 8.4v packs are ideal that way. The USB packs are a bit different. Initially, I thought 5v from the USB bank would be marginal and would work with a fresh battery, but drop out as the pack discharges well before using its full capacity. I was forgetting one thing. The USB packs are built around 3.7v lithium cells. They use a boost-buck regulation circuit that brings that up to 5v for the USB standard. So the output is always steady at 5v no matter what the state of charge inside it is. The regulation in the Pixelpole becomes a bit redundant, but does no harm. 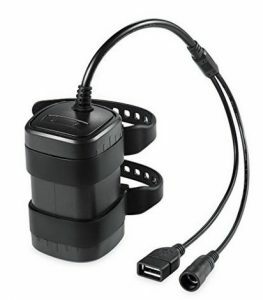 These battery banks/packs/chargers are so common now that I’m not going to attempt to give links or make recommendations, but just give some examples of what to look for. I’ve been using this battery pack for a while as a storage device for a solar panel. It works great for the Pixelpoles. It’s also much larger than what you need to just run a Pixelpole for a few hours, but you may already have one that you can use. My daughter has three of these. She got them at Wal-Mart and uses them to keep her cell phone going while she plays Pokemon Go. They are 6000mAh and have a built-in phone cable and AC prongs that fold out. All you do to charge it is plug it in to a wall socket. 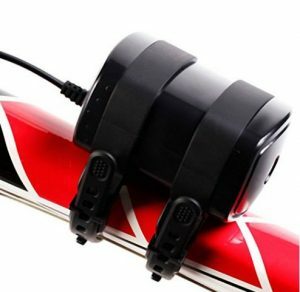 I haven’t tried one on a bike, but 6000mAh seems like a reasonable size for a Pixelpole. The convenience of the built-in charging plug is unique. Cost: $18 at Wal-Marts everywhwere. 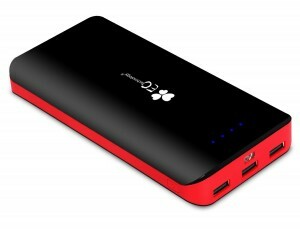 I also have this (or a very similar model) Anker Powercore battery pack. I didn’t buy it for the Pixelpoles, but it would work fine, if not a little overkill, like the EC Technology. It’s 26800mAh (That’s 26.8 AmpHours!) and costs almost $60. But, Anker makes many models in all sizes and are very high quality with believable specs. They are also very good with customer relations and will replace a defective item promptly. There are battery banks of similar physical size on Amazon that claim to be over 50,000mAh. Physics don’t lie, those are specs that have been inflated by their marketing departments. Another tip-off that those are not really 50,000 mAh is that the 26,800 number just slips under the limits for what you can take on a plane. No manufacturer is going to make a product that is intended for convenience but can’t be carried in your luggage. My point here is not to recommend a particular size or brand, but to tell you that there are unscrupulous marketeers out there that lie about the specs to make their product look good. 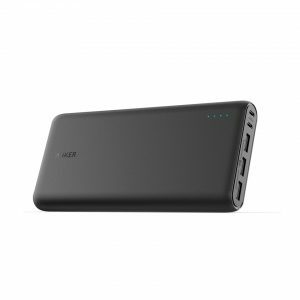 Reputable brands, for instance Anker, can be trusted for their specifications and to stand by their product. Thank you, Al. I can’t tell you how much I appreciate the information you have posted on battery packs/banks/chargers. And the video you posted showing the comparison testing of E.C Technologies 22,400 mAh power bank and the over overstated 50,000 mAh off-brand was very enlightening! Also, thank you for your insights on solar panels and their use for charging/charging devices.